Billy is a proven senior manager and entrepreneur with a strategic, disciplined approach and practical appreciation. During his time in the Australian Army, Billy completed his studies in Psychology and a Carpentry Trade. After completing 5 years in the Military, Billy accepted an opportunity as the Assistant General Manager at London’s Premier Health and Racquets Club, Next Generation, where he was operationally responsible for more than 140 employees. 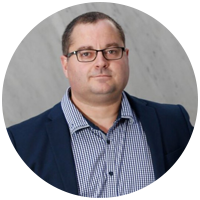 Billy gained valuable experience in construction as the General Manager of a Residential Building business in 2005-6 before he was headhunted to become a part of the senior management group of the then privately owned, Australian Portable Buildings.